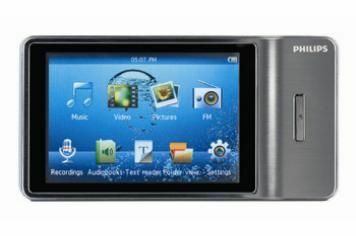 Philips GoGear Muse 16GB review | What Hi-Fi? The Philips Muse runs Songbird – very good software indeed. This program can gather content from a number of others, including iTunes, and as long as it's not DRM protected, will automatically convert it to one of its compatible formats. It will handle MP3, AAC, FLAC and APE natively. It's even happy with 720p AVI video files. Asked to play a lossless FLAC file of Wild Beasts' All the King's Men, the Philips responds with a direct and fairly tonally balanced delivery, as long as you avoid the slightly hollow and fat ‘Full Sound' setting. It lacks punch, drive and dynamic agility, though, and trebly edges would benefit from slightly greater control. Performance-wise, then, the Philips is perfectly fine but it falls short of the best. And the same is true of its usability. The touchscreen is pretty clear, but it's just not as slick or responsive as an iPod Touch, sealing it's fate as an also-ran in this highly competitive sector.